More issues you missed, subscribe today! The most detailed information on the Nikon rangefinder available. Click on "Magazine/Membership" above. Click to enlarge and read actual size. The end of Building "101" The original factory to be demolished! 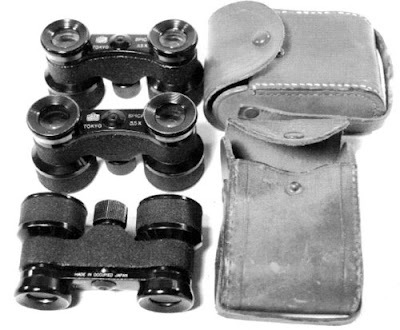 Includes many historic factory photos. 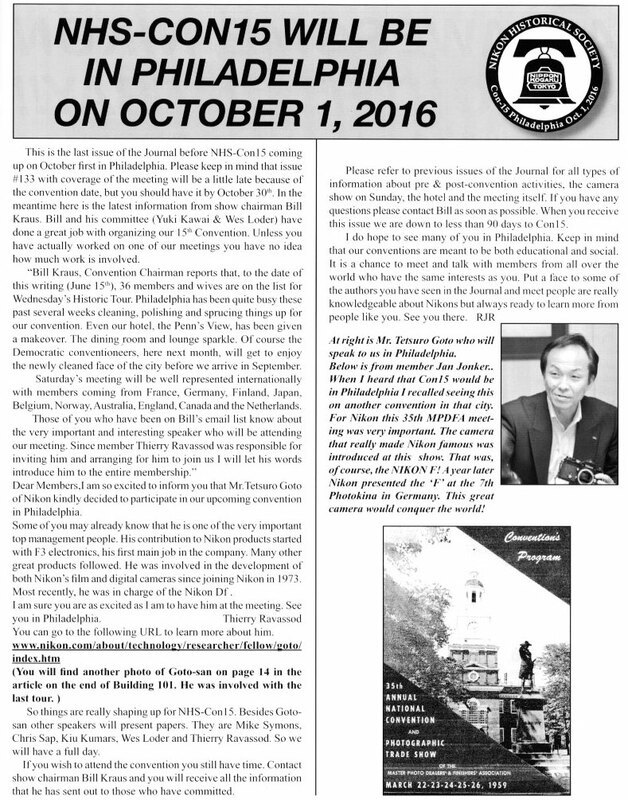 NHS Con-15 will be held on Saturday, October 1, 2016, beginning at 9:00. It will be at the Penn’s View Hotel, located in the historic district. 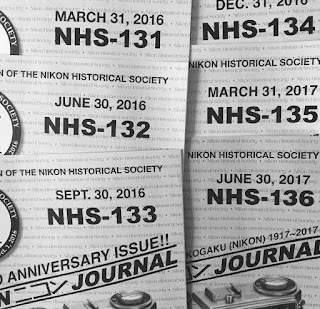 Incidentally, our meeting will precede the Leica meeting scheduled for the following week, so those wishing to attend both can easily do so. The Photorama Camera Show is scheduled for the following day, October 2, 2016. 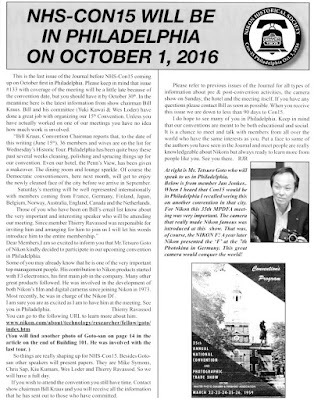 It will be held at the Ft. Washington Hilton. Before the meeting, three days of Philadelphia activities, Wednesday, Thursday and Friday. Following the meeting and camera show, we’re planning two days of touring outside the city. Including pre and post activities: Wednesday, September 28 through Tuesday, October 4, 2016. The issues you missed, subscribe today! Issues 126/130 on the way to Philadelphia. 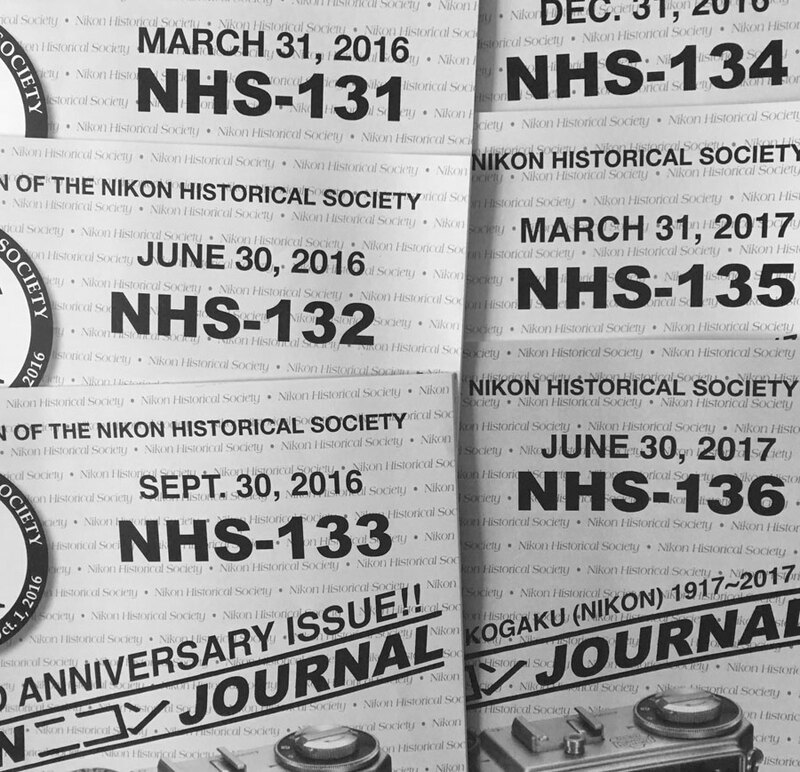 130 The New Nikon Museum in Shinagawa. 129 Nikon Collectors beware, modified F 250 backs on RF's. 128 Nikon S36 high speed motor drive. 126 Historic Photos by Adolph Gasser, Nikon in 1951. 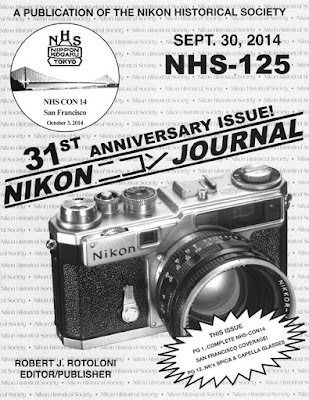 Our latest issue has complete coverage of the NHS convention in San Francisco. There are over 60 photos from the convention. Also included in the issue, a great article about Nikon's beautiful Opera Glasses, by Michael Wescott Loder.